Port Elizabeth and Algoa Bay isn't called the Bottlenose Dolphin Capital of the World for nothing. 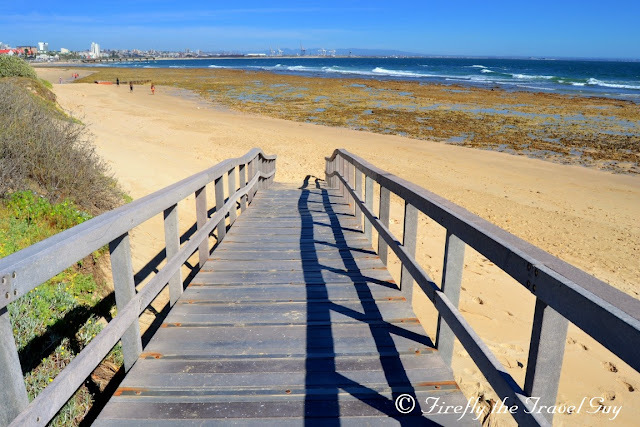 I picked up on this video posted by Judy Venter on YouTube which Judy filmed off the pier from her kayak. Amazing seeing these animals so close up in the wild. 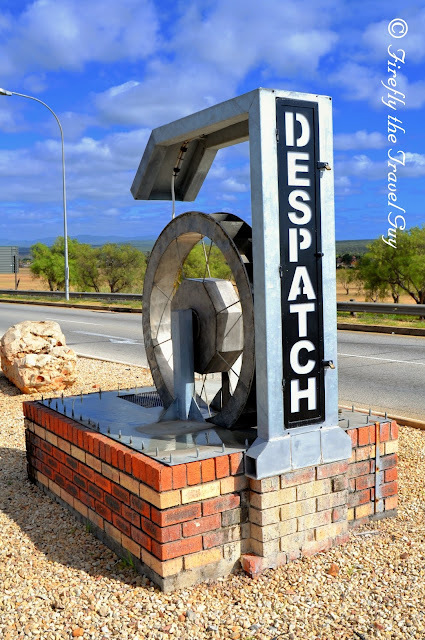 The food truck culture has definitely reached Port Elizabeth and Food Truck Friday down in the Baakens Valley (once a month at this stage) has proved it. The Makoy Food Truck, one of PE's originals, did the catering at a function I attended in November and if that is the food that comes from food trucks then who needs to go to a restaurant? 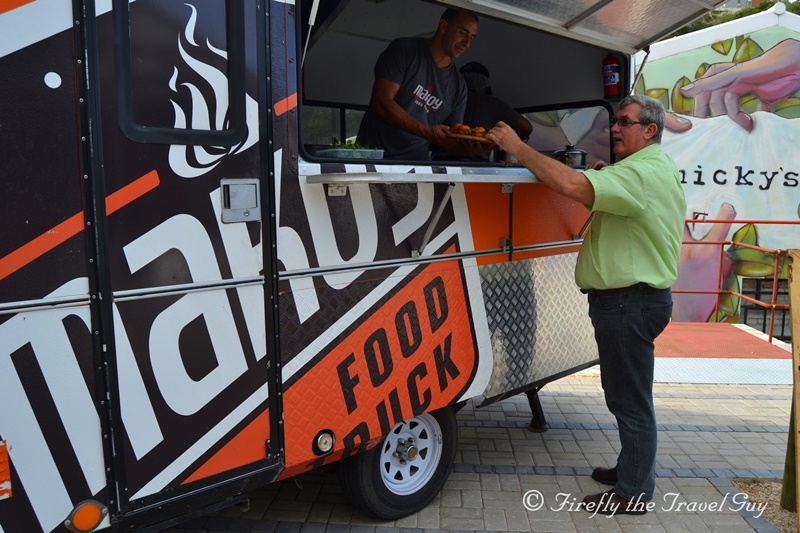 Now if we can just find a place in PE where food trucks can have a semi permanent spot with enough foot traffic to stand and we can have Food Truck Friday every day or at least every weekend. 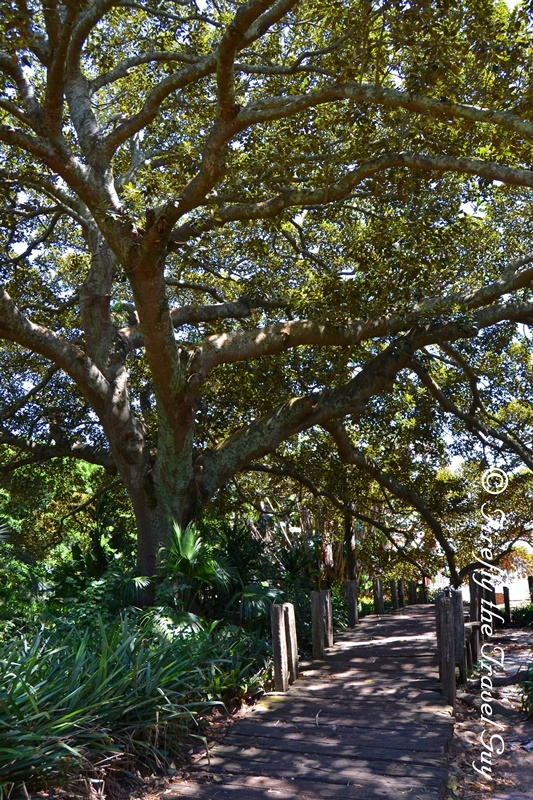 There are a number of giant Wild Fig Trees in and around St George's Park, all well over 100 years old. The one in the centre of the park next to the Pearson Conservatory must be one of my favorite trees around Port Elizabeth. I always marvel at it's size and love walking over the sleeper bridge underneath it imagining that it could be the city's Mother Tree. 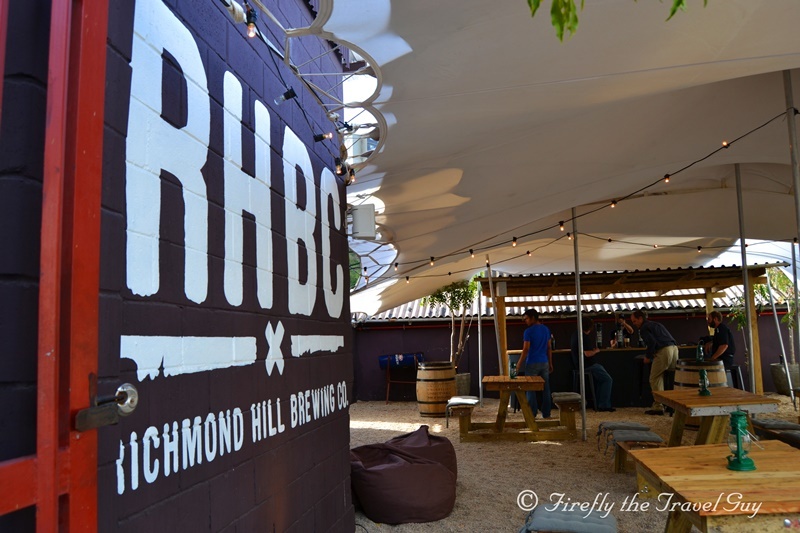 I got to peek into the new Richmond Hill Brewing Co undercover beer yard and brewery in the Baakens Valley the other day. Unfortunately it was literally just a peek in as I was attending an event next door so I didn't get to try the beers or check out the brewery, but I'm sure this spot is going to become a very popular spot here in the Port Elizabeth. The recent Craft Brew and Food Fest also took place between here and the adjacent Chicky's Yard and looking at the photos on social media I really missed something. 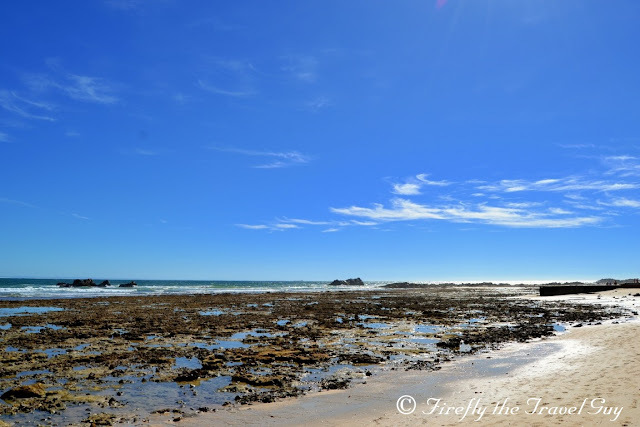 We are truly blessed with a beautiful coastline here in Port Elizabeth both inside Algoa Bay and on the Wild Side. 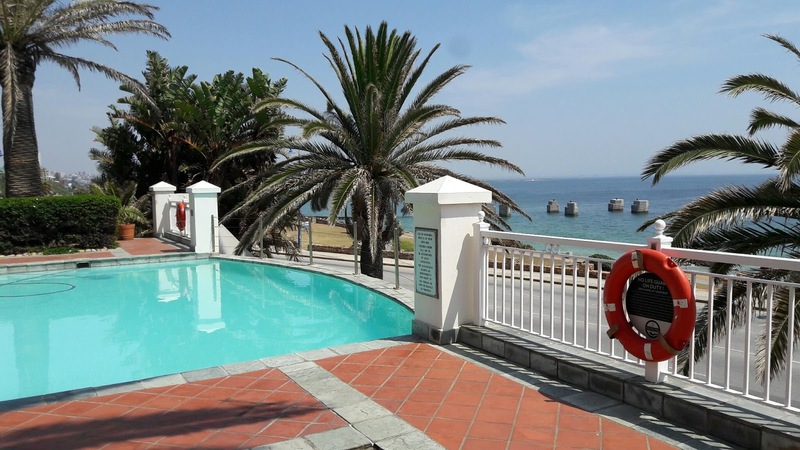 The stretch of beach between Hobie Beach and Pollok Beach is ideal for a short beach walk close to parking and other amenities. As Oom Oubaas on 7de Laan would say, "Gun my die verleendheid om 'n paar gevleulde woorde te spreek." As Christmas Day comes around, I would like to wish all my Christian friends and followers a Merry Christmas. 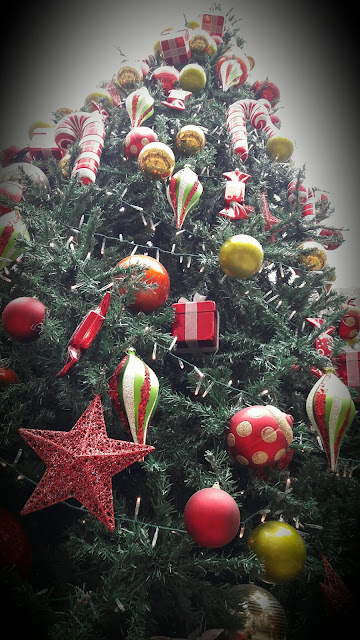 May this day be a blessed one full of good times with friends, family and loved ones. Hope the day brings lots of gifts, food and fun, but most importantly, don't forget what the day is really about. Celebrating the birth Jesus Christ. Have a great day everybody!!! We popped in for a quick visit with the donkeys at the East Cape Horse Care Unit the other morning and Drama Princess nearly left with their friendly cat. I don't think our Daxies would have been too happy if she did though. With Christmas two days away this week's Video Friday post features a performance of "Mary's Boy Child" by the Summerwood Primary School's wind band at the recent Christmas in the Home exhibit at The Boardwalk posted by Derrick Badenhorst on YouTube. 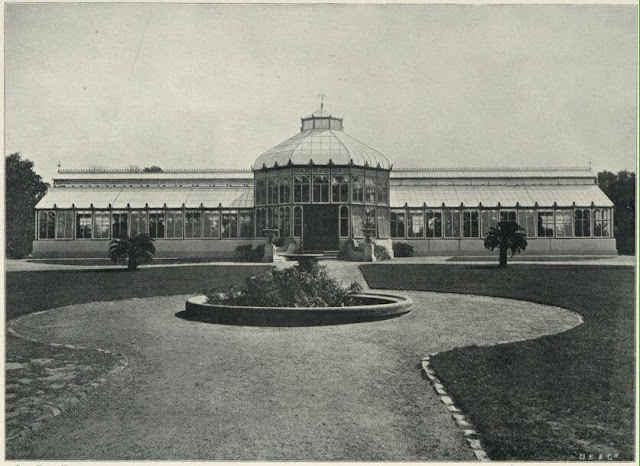 The Pearson Conservatory was originally built in 1882 and restored to its former glory between 2009 and 2011. 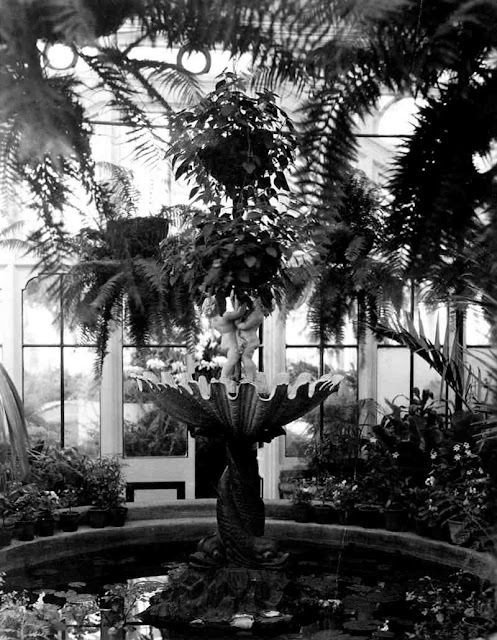 The centre piece of the Pearson Conservatory is an ornamental fountain made by Andrew Handyside at the Duke Street Foundry "Britannia Iron Works" in Derby in the UK around the same year the Conservatory was built (1882). The Britannia Foundry's work was well known for its fine quality so these fountains can be found all over the globe. 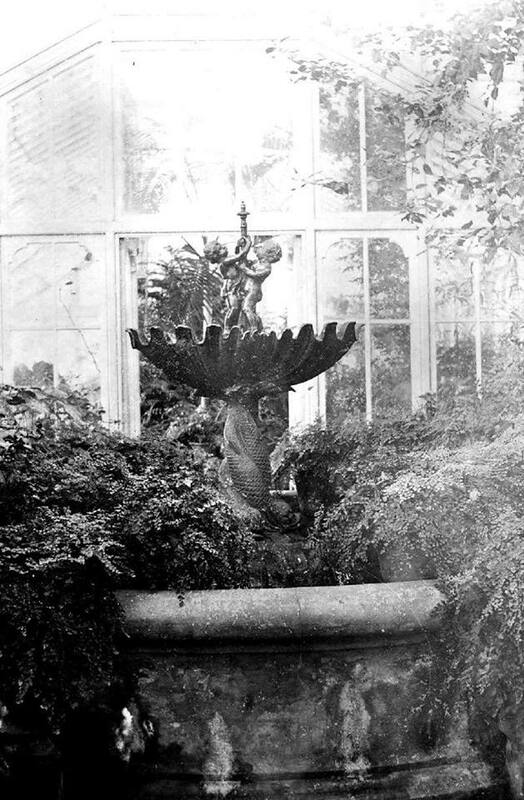 This particular design of fountain is listed as Design Number 15 on Page 30 of the 1879 publication "An Illustrated book of Designs for Fountains and Vases, costing from £1 to £1200 manufactured by Andrew Handyside". The same fountain can be found at Prince Alfred College, Adelaide, Australia as well as at Sarmiento School Fountain in San Miguel de Tucuman, Argentina, South America. The information above was found on the Friar Gate Bridge Derby website. 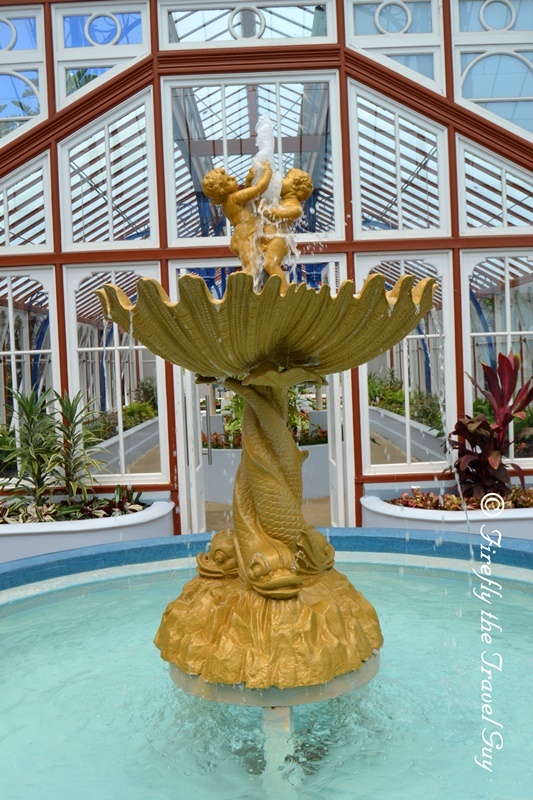 In 2013 I visited the Conservatory and did a post about the fountain located inside with the info above. You could see in the photo in the post that the fountain was starting to show rust through the paint. The other day I took a walk through the park and ended up at the Conservatory. It was great to see that the fountain have been cleaned up and given a new coat of paint. When you're walking along the trails in the Van Stadens Wildflower Reserve you get to see glimpses and different angles of the Van Stadens Bridge all the time. 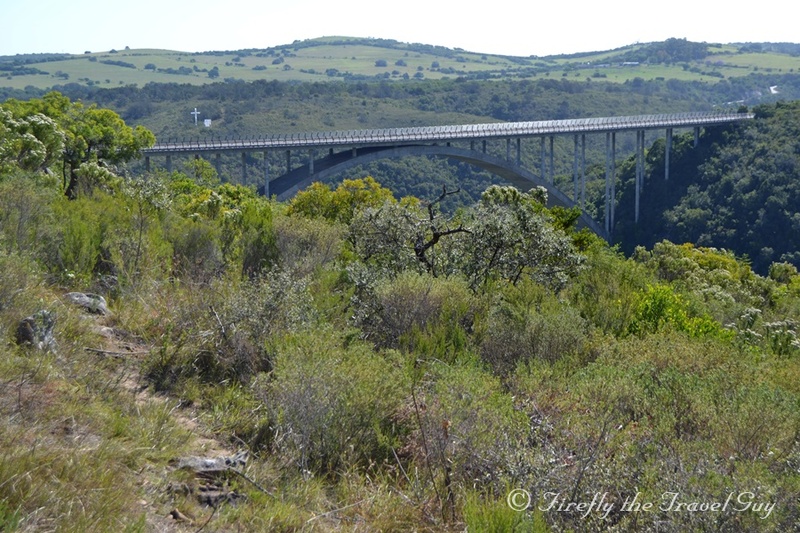 The bridge, over which the N2 highway crosses, was opened on 11 November 1971. The bridge used to be a notorious suicide spot until barriers were set up all along the side of the bridge a couple of years ago. 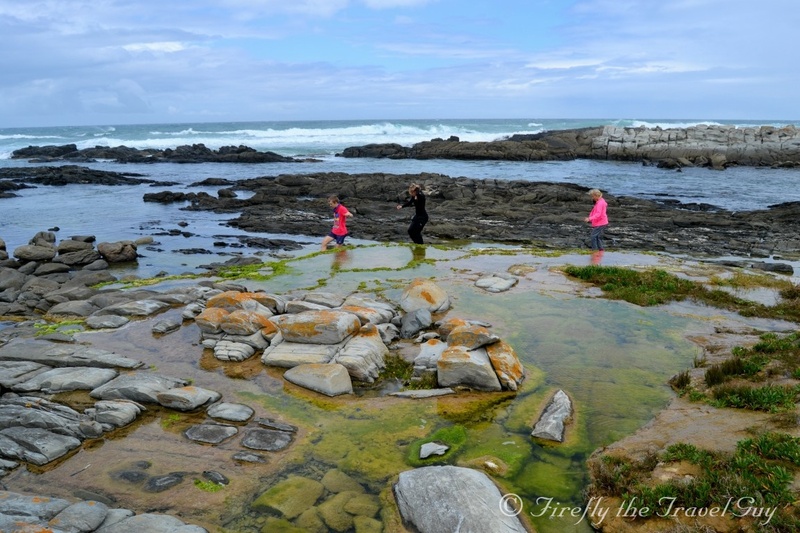 The coastline at Schoenmakerskop with all its rocks, pools and gullies really lends itself to exploring youngsters. Like a free treasure hunt jungle gym exploration facility. Low tide on the beach between Hobie Beach and Pollok Beach with Bird Rock on the horison in the center of the picture and Chop Rock to the left. I just realised that I don't have a photo on hand to post for today so I have decided to swop tomorrow's Video Friday post with today and post a video instead. This week's featured video is a stunning one by Hurricane Productions showing some of Nelson Mandela Bay's favorite destinations and attractions from the air. 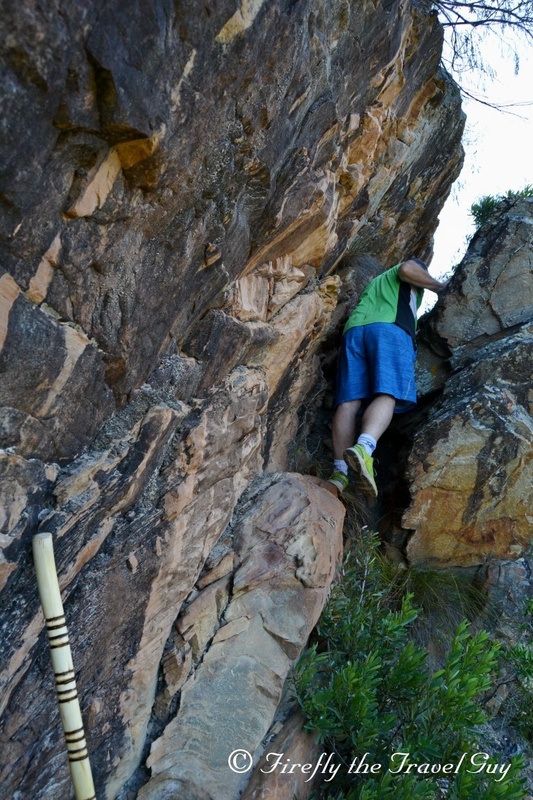 I've been Geocaching for four years and have found just short of 2000 caches, yet, and I should probably be ashamed to say it, I have never gone to look for the oldest cache in Port Elizabeth. 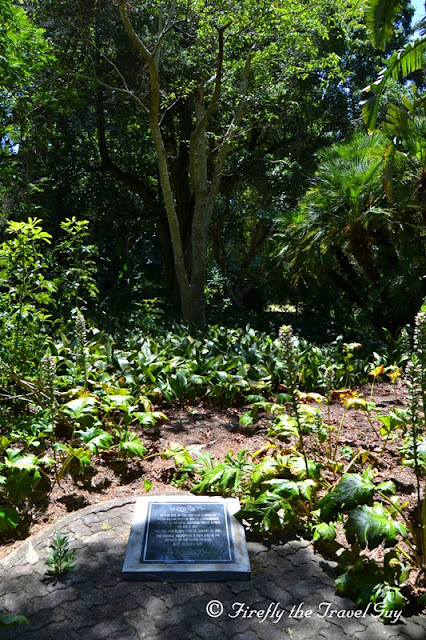 The cache, located in the Van Stadens Wildflower Reserve, is called Van Stadens Flower Power and was originally placed on 18 May 2003. Having cached in the reserve a couple of times before I just can't believe that I have never taken this specific trail to go and tick it off my To Do list. A couple of weeks ago I bundled the family into the car and off we went for a quick outing to the flower reserve to find this cache. While I went climbing to get to ground zero Drama Princess was playing around with my camera and snapped this intrepid explorer in search of treasure. I know I've posted this video before, but with summer holidays here and holiday makers and tourists flocking into the city I though it would be appropriate to post it again. When I was working for Nelson Mandela Bay Tourism this destination marketing video was one of my projects and I still get excited about the destination when I watch it. I attended a tourism workshop at the Courtyard Hotel this morning and was reminded once again how stunning a setting some of the hotels on the beachfront has. 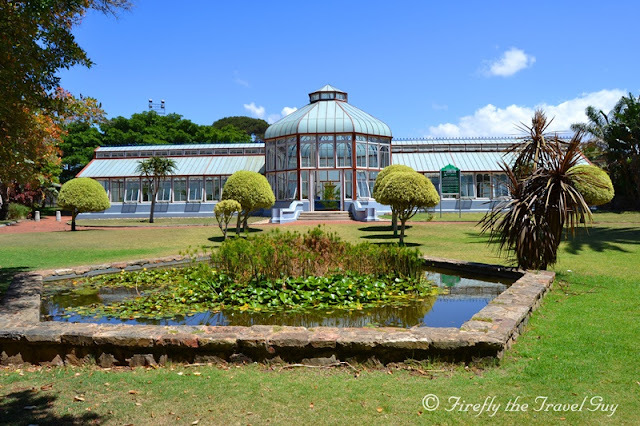 The Victorian conservatory in St George's Park was completed and opened on 12 September 1882 and named the Pearson Conservatory after the then Mayor of Port Elizabeth, Mr HW Pearson. The conservatory cost £3,800 to put up and arrived in South Africa as a 'kit of parts' and was constructed in the park. This conservatory was imported from England and was the first of three such buildings in South Africa at the time. The double volume central atrium is flanked by two wings to the East and the West with perfect symmetry along its two axes. Over the years the building had been fixed up several times and in 1972 the city even considered demolishing it. The building was restored by the municipality and reopened in 2011. I just think that not enough people make the effort to go and visit it using the excuse of "the park is too dangerous". Dangerous se g@t. I went for a walk through the park on my own with my camera last week and didn't see any unsavory characters. But if you are worried, use the back entrance next to the cactus garden across from the hospital and you can drive right up to the conservatory, parking right outside. 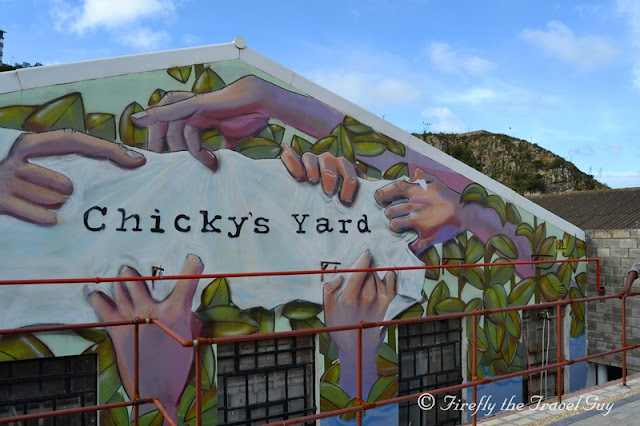 Last week I attended the Nelson Mandela Bay Tourism AGM at a spot called Chicky's Yard in the lower Baakens Valley. Chicky's Yard basically is an events venue but I have a feeling that it's going to evolve into more than just that what with the Richmond Hill Brewing Co right next door and so many new and trendy places opening nearby. Love the mural on the building in front by Port Elizabeth graffiti artist Joff. I took a walk around St George's Park the other day. Yes, alone and with my camera in hand. It really isn't as bad as so many people would like to make it out to be. It's just important to stay alert and observant but I didn't notice any unsavory characters hanging out in the park. 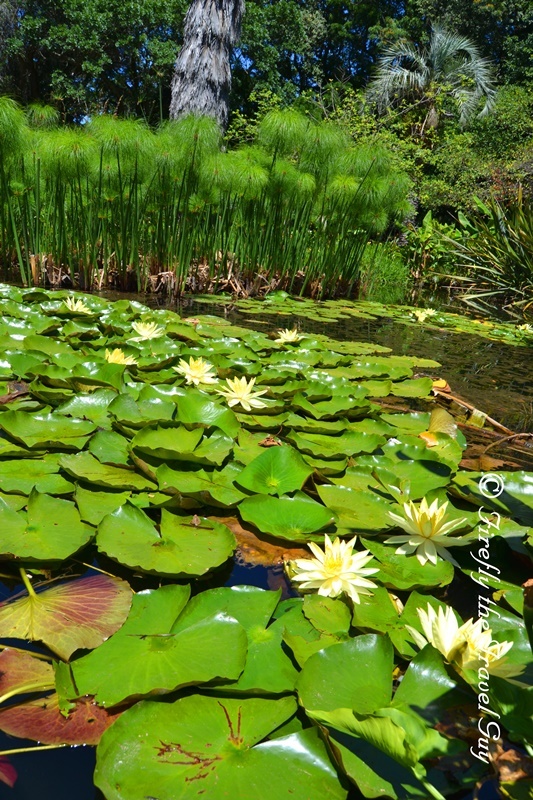 I did notice that the water lilies on the central pond was beautiful though. In 1861, Mayor William Smith planted an Oak tree at the spot in the then new St Georges Park to commemorate the visit in 1860 of His Royal Highness Prince Alfred. The tree unfortunately blew over in January 2001 with the original inscription then being moved to the Parks Division offices nearby. Today the spot is marked by a plaque. Today I want to post a promotional video done for Nelson Mandela Bay by Nelson Mandela Bay Tourism a few months ago featuring our wonderful wildlife and natural offering. 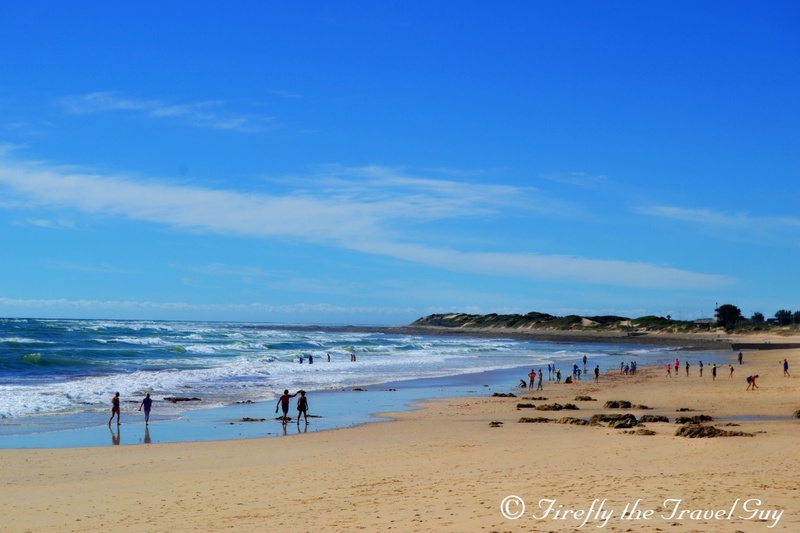 Algoa Bay, the coastal region of Nelson Mandela Bay, boasts 40 km of magnificent golden beaches as well as one of the most diverse marine eco systems in the world. This includes islands with most importantly the largest Cape Gannetry in the world (110 000 breeding pairs) as well as over 50% of the worlds African Penguin population. Algoa Bay has also been proclaimed as a international hope spot for the African Penguin and also as the Dolphin Capital of the world. With its perfect combination of warm water, calm sea and fair breezes, it is one of the best sailing venues in the world and a Mecca for all beach and water sport enthusiasts. 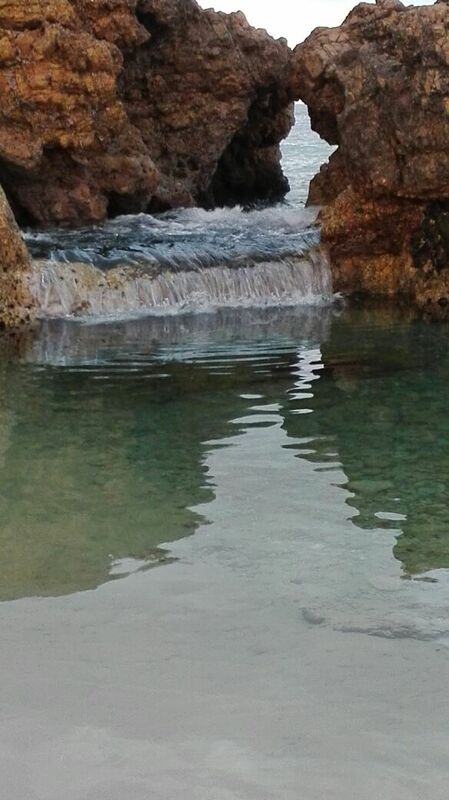 Water temperatures vary between 18 and 21 degrees Celsius during summer and 14 to 19 degrees Celsius during winter. 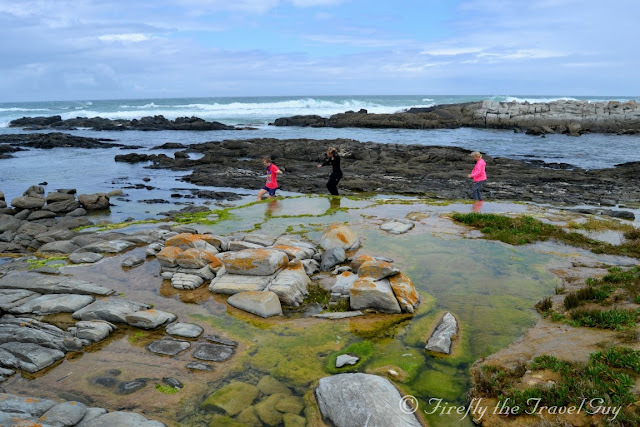 From rocky shores to indigenous floral fynbos, from stretches of golden beaches and unspoilt sand-dunes to lush indigenous forest and untamed wilderness areas, the nature reserves within, and on the outskirts of Nelson Mandela Bay offer a wonderful range of options to the great outdoors. 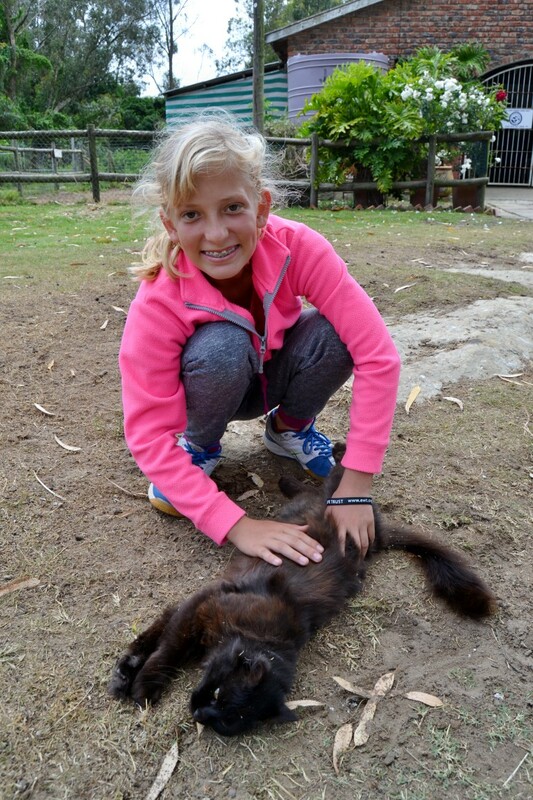 Big 7 and other safari’s in and around Nelson Mandela Bay is an activity everyone should enjoy. The numerous game reserves in and around the city offer the perfect mix of fauna and flora. These splendid, sometimes untouched areas are developing into some of South Africa's main game viewing destinations. A friend sent me a WhatApp with this picture. I immediately know where he was. Do you?